Where do news agencies fit into the online advertising model? It’s interesting to note Google’s latest advertising move, as reported by the Guardian, and background summed up here, in links, at this link. “The contextual ads will also run alongside content from existing Google partners AFP, UK Press Association, AP and Canada Press,” it also reported. It reminded me of a chat I had with senior members of the digital team at the UK’s Press Association (PA) in early February, but never published. Now seems a good time to share that information. Colin Ramsay is head of the PA digital sales team and Chris Condron is the head of digital strategy at the PA. They told me that selling commercial video with advertising is an increasingly important venture for the agency. “One of the key areas is that we need to move our position up the chain a bit,” Ramsay said. “Rather than be a news feed supplier, we want to fully understand what our service can do for our customers and how we can link that commercially,” he said. “One of the things we really want to do is develop and leverage strong relationships with traditional media, and also expand in digital marketplace. There are lots of new and emerging customers for us to have dialogue with,” Ramsay said. The Press Association can offer content in new ways, on new platforms, he explained, adding that video is ‘a key area’. “I think we’ve got a lot of opportunities around commercial video,” he said, which could include developing relationships with new advertisers. Blue chip companies are particularly important as potential advertising clients, he said. More and more video ‘is a key part’ of PA’s provision, which could be integrated with different editorial packages, Ramsay said, adding that there is now less emphasis on text provision. Different types of video and advertising provision means new as well as existing partnerships, he said. “It’s going to be a very exciting year for PA, in how it develops and competes – we then become an extra resource for our customers,” Ramsay told me. Head of digital strategy, Chris Condron, addressed editorial issues: “One of the key things is the scale,” he said. “PA is 140 years old – the reason it was set up in first place is because it made economic sense for each newspaper not to send people to same place,” he explained, as background. While ‘times are tough,’ he said that one of the ways PA is ‘looking to be even more helpful, or relevant’ is to find strategies the company ‘can use straight away’. For example, provision of a news channel for Virgin Media is a different kind of service, with different kinds of advertising opportunities. “The core values remain, but it [approach] is a lot more flexible,” Condron said. It’s not just commercial companies they want to supply video to: “The newspaper companies have showed interest in further video provision, and with the BBC not going into local video, newspapers are delivering their own video,” he said. That’s an example of where the barriers between broadcasters and newspapers are breaking down, he illustrated. “They’re [newspapers] really focused on where the users are, and what the users want and it’s our job to help them do that. “I think it’s fair to say it’s tough times – we’re focused on being as helpful and useful to our core customers as we were in the past,” Condron added. This entry was posted in Advertising, Multimedia, Newspapers and tagged advertising market, advertising move, advertising opportunities, AP and Canada Press, BBC, British Broadcasting Corporation, Chris Condron, Colin Ramsay, google, Google News, head, head of digital sales team, head of digital strategy, online advertising model, pa, Pennsylvania, potential advertising clients, The Guardian, UK Press Association, UK's Press Association, video and advertising provision, Virgin Media on March 18, 2009 by Judith Townend. US digital arm of Conde Nast is to make job cuts ‘across the board’ to prepare for further downturn in the advertising market. This entry was posted in Editors' pick, Jobs and tagged advertising market, condenet, Reorganization, United States on November 12, 2008 by Laura Oliver. The UK internet advertising spend is up 21 per cent, although the overall advertising market went down. The Internet Advertising Bureau said yesterday that expenditure on the web went up to 1.68 billion pounds ($2.95 billion) in the first six months of the year, while the total advertising market was down 0.7 percent year on year. 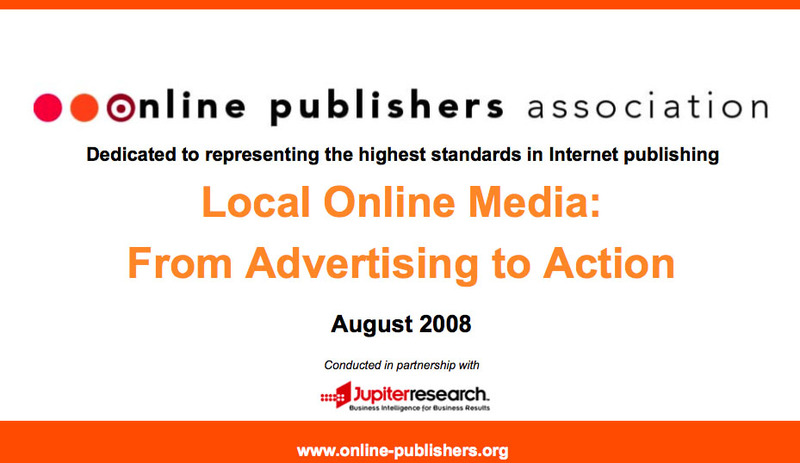 This entry was posted in Editors' pick and tagged advertising market, GBP, internet advertising, Internet Advertising Bureau, online ads, online advertising, overall advertising market, reuters, United Kingdom, USD on October 7, 2008 by Laura Oliver.